If you know a little one who’s wild at heart, treat them to our safari animal print backpack! Someone very lucky will be the envy of all their friends with this brightly coloured bag. 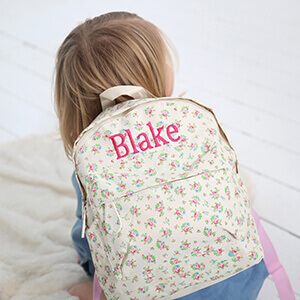 With a front pocket for storing all their little bits and pieces, as well as adjustable straps, this is a brilliantly made rucksack that little animal lovers will adore. What’s more is you can personalise with an embroidered name of your choice for no additional cost. It will also arrive in a luxury gift box free of charge.